Base price. Sliding scale is $80 - $120. A silent 3-day Zen meditation retreat on the topic of busy-ness. Red Cedar Zen is delighted to announce a new, financially accessible, silent Zen sesshin at Samish Island Campground. As Yunyan was sweeping the ground, Daowu said, "Too busy." Yunyan said, "You should know there's one who isn't busy." Daowu said, "If so, then there's a second moon." Yunyan helpd up the broom and said, "Which moon is this?" Come meet the one who's not busy and gaze up for the second moon when we come together for three days and nights of silent practice of sitting, walking, and work meditation in this beautiful church camp on the water on Samish Island in the Skagit Valley. There will be oryoki meals, daily dharma talks by Nomon Tim Burnett, dokusan with Tim, and an extended afternoon work period. The three-day sesshin runs from 5pm on Sunday July 29th until 6pm on Wednesday August 1st. In appreciation of the fuller work period (2-3 hours), and that we'll be doing our own food, our Samish Campground hosts have generously offered to reduce the rate significantly. 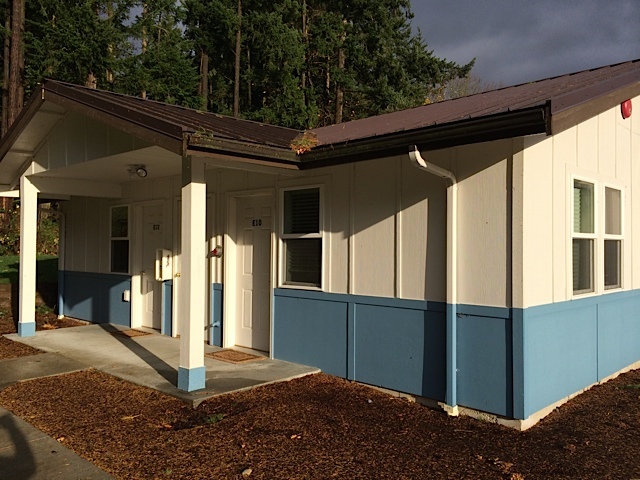 The registration check-in, Zendo, and dining hall will be at the Community of Christ Church at 11507 Scott Rd, Bow, WA 98232 located just before the driveway for the Campground. We will not be using the main camp dining hall or the main camp "CFC" (large barn-like building we use as a zendo at the 8-day retreat). We will be using the main camp for housing and work period only. Sunday - arrive between 4pm and 5pm to set up the zendo and be ready for evening practice starting at 7pm. Note that no dinner will be served, bring a snack as needed. Monday - 5am - 9pm silent sesshin day. 3 oryoki meals. Tuesday - 5am - 9pm silent sesshin day. 3 oryoki meals. Wednesday - 5am - 5pm sesshin day. Oryoki breakfast and lunch. After afternoon work we'll clean up and out at about 7pm. 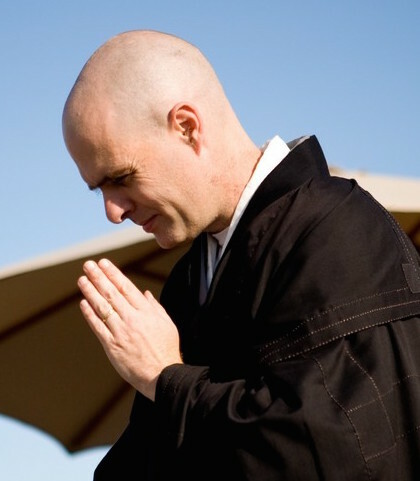 To benefit from being at a Samish Sesshin please sign up only if you have done Zen meditation with a community and can commit to silent practice, do your best to follow the entire schedule, and stay on the Samish grounds for the duration. The retreat includes 3 simple vegetarian meals per day starting with breakfast on Monday. Meals are taking with the oryoki eating bowls. Plan on bringing your own set or purchasing one from Red Cedar Zen. 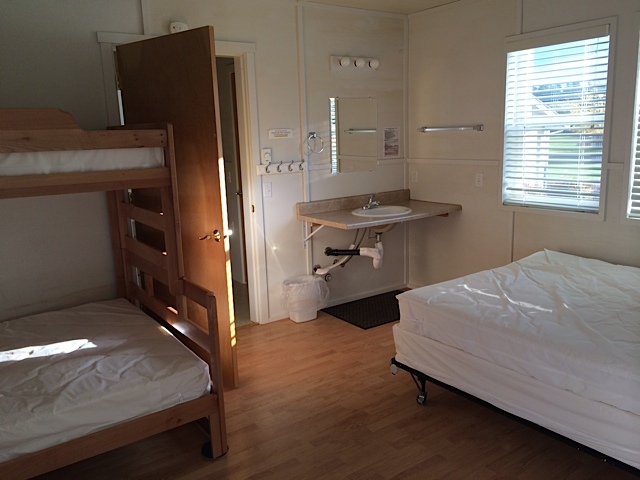 E-Cabin, shared room: $70-$110 sliding scale (8 spots available in 4 rooms). Rustic Cabins - simple plywood cabins built in the 1950's. Camp style bathrooms in a separate building. Most rustic housing will be private (not shared), however if couples or friends are willing to share a cabin this can make a difference in accommodating everyone if the sesshin is full. 2) Paying higher on the sliding scale enables us to offer scholarships. In the registration process you first pick your housing and stay length which adds the base fee. Then additional funds may be added on the next screen. Until June 1st, registration is open to Members of Red Cedar Zen Community, Seattle Soto Zen, Saltspring Zen Circle and Mountain Rain Zen Community only. Open registration will begin June 1st. Scholarships are available for all of our events on request. Please contact the registrar.